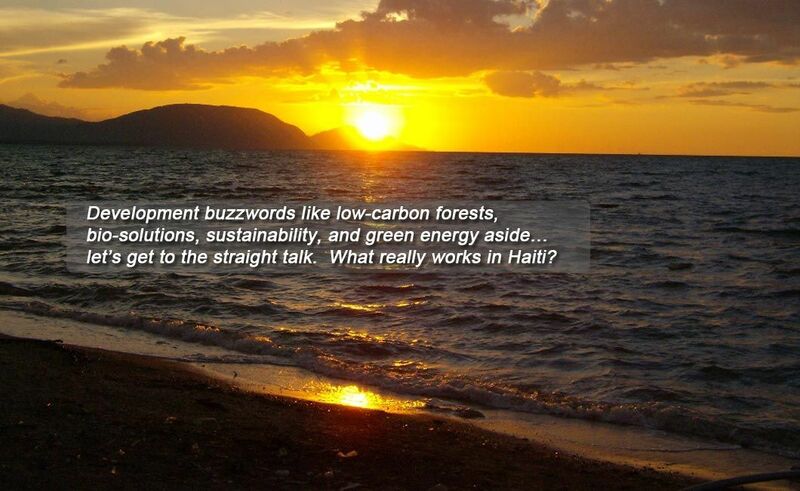 What Really Works In Haiti? Development buzz words like low-carbon forests, bio-solutions, sustainability, green energy aside… let’s get to the straight talk. Some have called Haiti a relief republic, meaning they are sustained through the relief efforts of other countries – in response to such disasters as hurricanes, droughts, political unrest, famine, flooding, mudslides, and of course earthquakes. But, when the aid stops, Haiti remains dependent. We have all seen non-governmental organizations (NGOs) and faith-based teams come into Haiti to relieve the burdens by building orphanages, schools, and churches and other worthy projects such as short term infrastructure fixes – wells, sewers, latrines… All of these are noble efforts and many of them provide a great help to Haiti. But such efforts have not had a long term impact on the population. 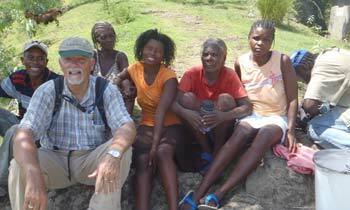 So the question remains – what really works in Haiti? When you speak with Haitians they will say they need jobs, not our money. This is true throughout the country. In rural Haiti, agriculture is the only industry – yet there are few farming jobs. So, why don’t they farm in the rural areas, and why do young people leave the countryside and head to the congested capital city of Port-au-Prince? 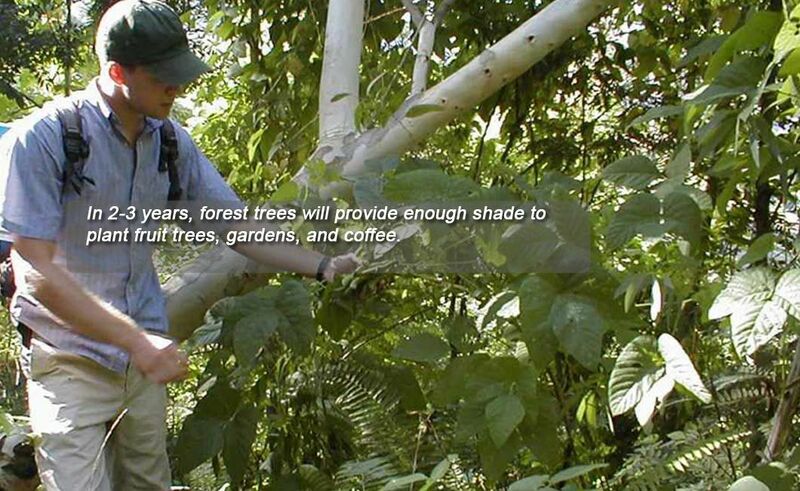 98% of the trees are gone in Haiti. 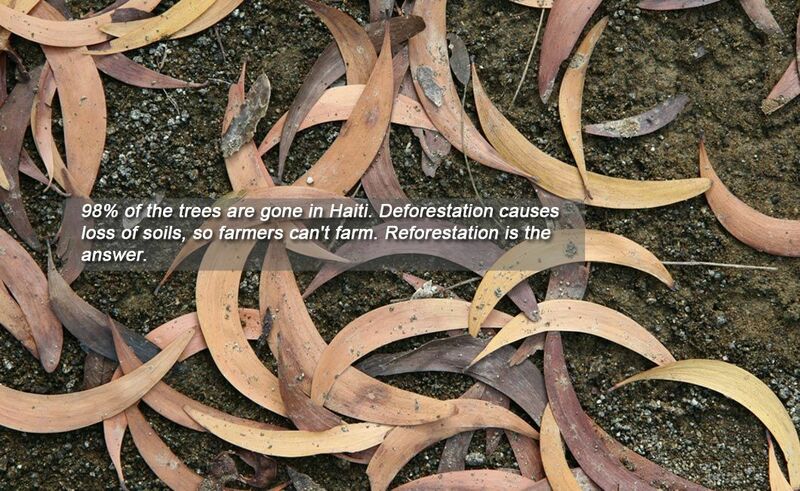 Deforestation causes loss of soils, so farmers can’t farm. Even when trees are replanted, farmers can feed themselves, but need a way to market their excess products to achieve true economic independence. This road to independence is at risk without further education, leadership development, and entrepreneurship training. 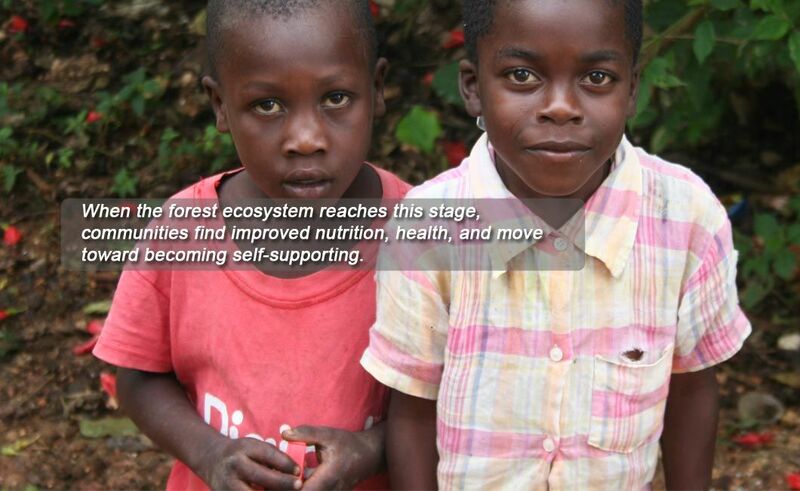 For the past 23 years, CODEP has worked in partnership with rural Haitians to respond to these issues. 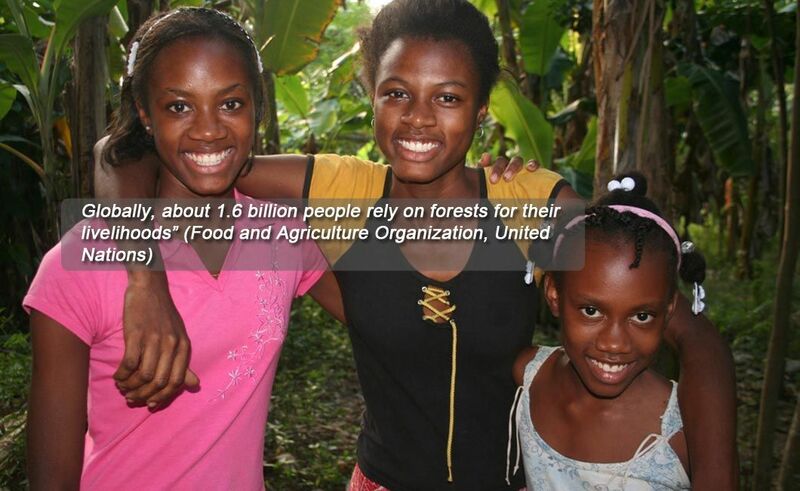 Reforestation has re-created verdant, productive land throughout the CODEP area. 30 community work groups pool their products and work together to market them under the CODEP brand name. Community education support, leadership development and the Haitian CODEP management team all help enhance CODEP and its communities. Intrigued? Check out the tabs at the top of the page that interest you. 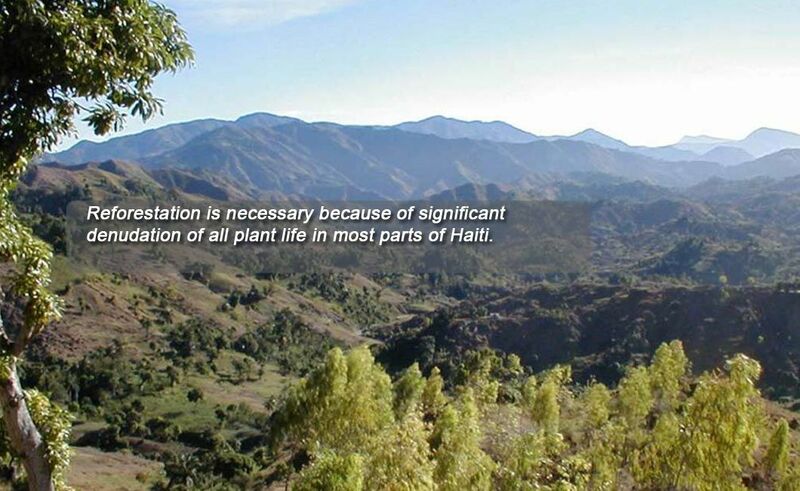 Reforestation is necessary because significant tree cutting in most parts of Haiti has caused erosion and little topsoil remains. Contoured, water-holding ditches are cut, holding grasses planted, with trees planted above. Falling leaves collect in the ditches, and in 2 or 3 years a natural compost is formed, allowing planting of gardens, fruit trees and coffee. 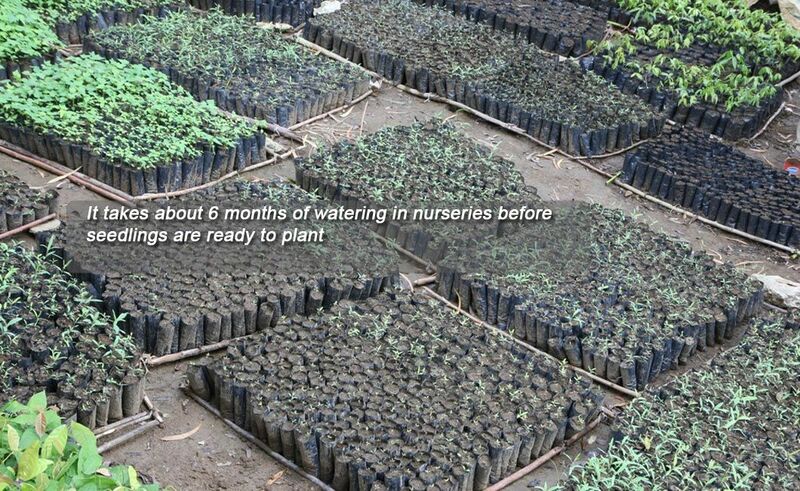 Since 2000 CODEP has planted more than 7 Million trees in Haiti! Over 20 Years of Acomplishments! 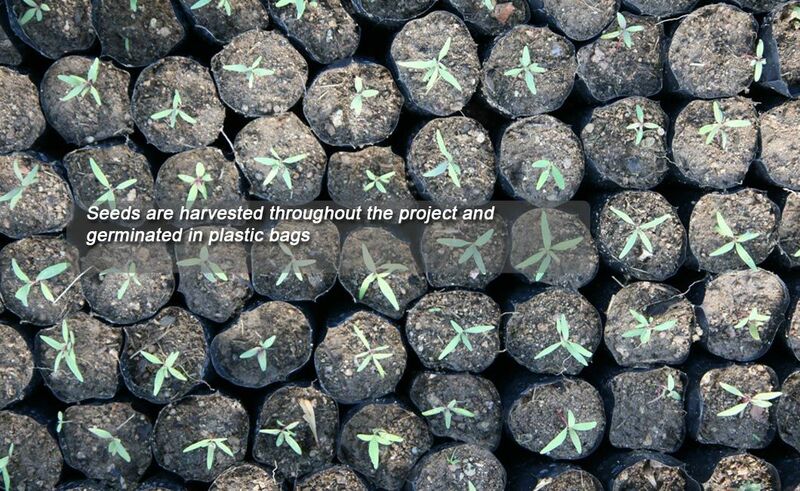 Planting over 13 million trees since the inception of the project in 1990, with a retention rate over 80%. Instituting a strong incentive program to avoid further deforestation of trees. Digging over 1,200 miles of contour ditches to prevent further erosion. 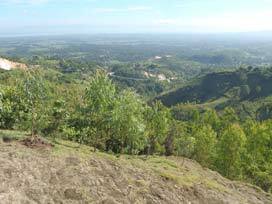 Recognizing that agricultural development moves slowly in the Haitian culture. 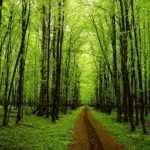 Determining that nutrition and health improvement depend on good agriculture/food supply techniques. 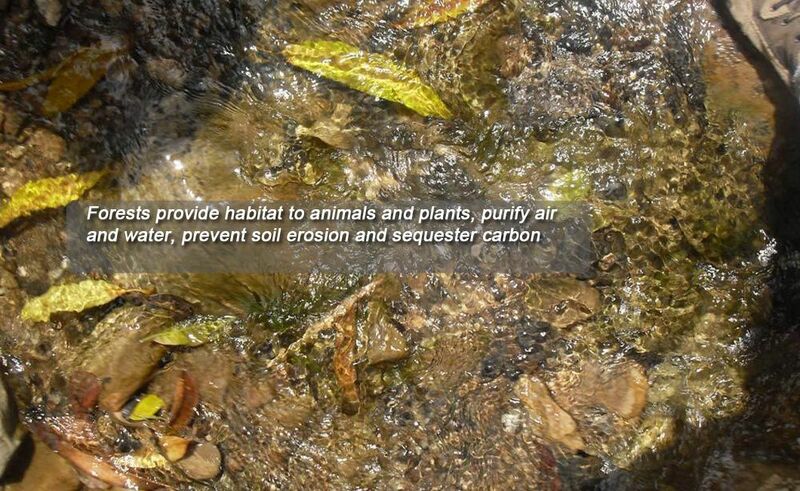 Installing and operating over 30 fishponds as aids to protein dietary enrichment. Establishing a process whereby women in CODEP have equal opportunities for jobs, promotions and management positions. Pushing project decisions to the working levels in CODEP. Developing and implementing the Office of the Director of CODEP executive leadership, a group of three individuals. Recognizing and training high-performing Haitians to become the next generation of leaders. Copyright © 2019 www.haitifundinc.org, All rights reserved.